Across the Curve - A daily bond market chronicle. Bonds and Fixed Income Investing - Use these resources to find out which kind of bonds are right for you, how you can determine the safety of corporate and municipal bonds, and the difference between general obligation, revenue, junk, zero-coupon, and fallen angels bonds. From About.com. 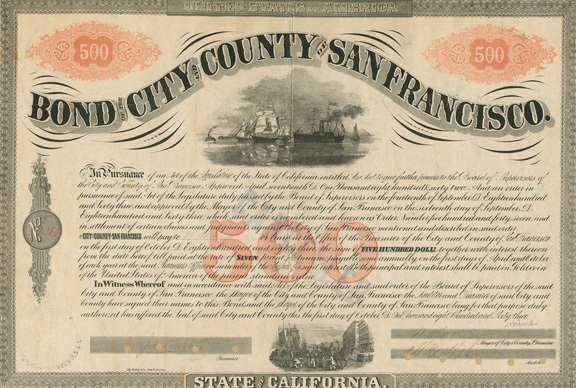 Bureau of the Public Debt - Learn about U.S. savings bonds and Treasury securities. Buy savings bonds or, if you're a Series HH/H bond owner, view your account info, change your address, and request tax information online. Electronic Municipal Market Access (EMMA) - A comprehensive, centralized online source for free access to municipal disclosures, market transparency data and educational materials about the municipal securities market. The EMMA User Guide is a starting point for investors new to the EMMA website. Financial Industry Regulatory Authority (FINRA) - The largest independent regulator of securities firms doing business with the public in the United States. Its mission is to pursue investor protection and market integrity, and we carry it out by overseeing virtually every aspect of the brokerage industry. Fidelity ActiveQuote - Enter search criteria for the stock, mutual fund, index, or annuity you want to lookup. You can use Fidelity's Symbol Lookup to find the following for a stock, mutual fund, index or annuity or select an option from a dropdown list to search for fixed-income securities. How to Choose: Fixed vs Floating Rate Loans and Investments - Article by Gabe Mchugh comparing a fixed interest rate to a floating interest rate tied to a benchmark like Libor. Investing in Bonds - Geared toward many types of investors-from beginners to experienced equity investors who are new to bonds to sophisticated bond investors. A source of bond price information and includes a wide variety of market data, news, commentary and information about bonds. Also see General Purpose Bond Calculator. Libor and Other Interest Rate Indexes - The LIBOR is among the most common of benchmark interest rate indexes used to make adjustments to adjustable rate mortgages. This BankRate page also lists some other less-common indexes. Municipal Bonds - Real-time data on all CUSIPs, the latest municipal bond news, the ins and outs of bond investing. Also see California Municipal Bonds. Municipal Securities Rulemaking Board (MSRB) - Protects investors, issuers of municipal securities and entities whose credit stands behind municipal securities, and public pension plans by promoting a fair and efficient municipal market. The MSRB fulfills this mission by regulating securities firms, banks and municipal advisors that engage in municipal securities and advisory activities. To further protect market participants, the MSRB promotes disclosure and market transparency through its Electronic Municipal Market Access (EMMA) website, provides education and conducts extensive outreach. Putnam Investments - Offers a mix of stocks and bonds in a single, professionally managed portfolio. Example: California Tax Exempt Income Fund and other tax-free income funds here. Treasury Inflation-Protected Securities (TIPS) - Treasury Inflation-Protected Securities (TIPS) are bonds that are backed by the full faith and credit of the U.S. government. Unlike conventional Treasury bonds, they are structured uniquely to provide some protection against rising inflation. Since they were introduced in the late 1990s, TIPS have become quite popular with investors. What Happens When a Bond Reaches Maturity? - What happens when a bond matures depends on the type of bond and the price you paid for it. Article by W.D. Adkins. This webpage last updated on Thursday, August 10, 2017 12:56 PM.